The Japanese artist Yayoi Kusama (born 1929 in Japan) is one of the most famous international artists of our time. Working in a remarkable mixture of surrealism, minimalism, pop, and psychedelia, she moves effortlessly between different media, between east and west, between art and popular culture, and between cultural identities. Yayoi Kusmas participation on Stockholm Music & Arts is an collaboration with Moderna Museet & ArkDes. During the summer 2016, Moderna Museet and ArkDes will be showing the exhibition Yayoi Kusama – In Infinity. This exhibition is the first major retrospective of Kusama’s oeuvre in Scandinavia, spanning her entire body of work from the early 1950s to today. 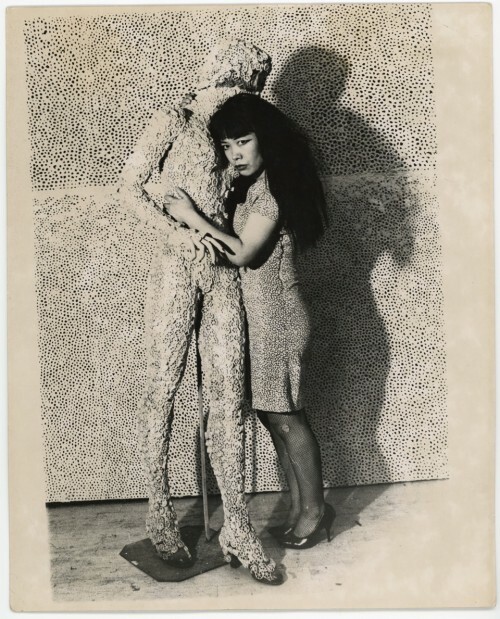 Kusama’s original artistic output is represented by a rich selection of paintings, drawings and sculpture, along with large spatial installations and material from her happenings and performances in 1960s New York. Yayoi Kusama – In Infinity is the first major exhibition that highlights her profound interest in fashion and design, and also includes several early works that have never before been shown, and a series of recent paintings made specifically for this exhibition.